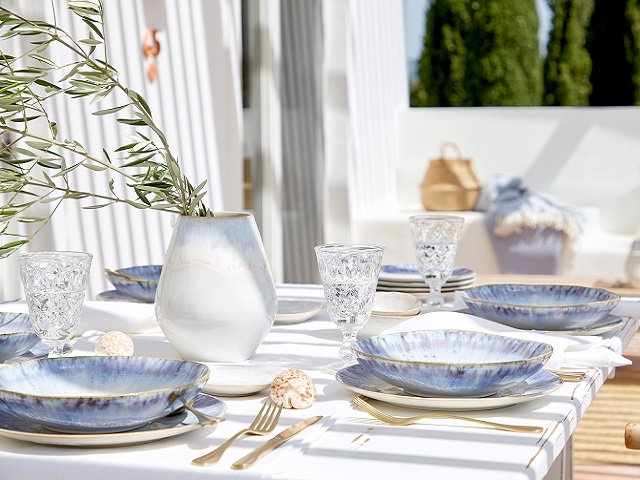 Inspired by the Mediterranean lifestyle of enjoying shared meals the Costa Nova brand was launched, combining ancient European craft tradition, elegant design, and quality to create fine stoneware pieces. Costa Nova is recognized worldwide for designing and producing high-quality tableware and accessories with a reinvented classic and timeless style. Using the best natural resources in Portugal and a single firing system at 2160 degrees Fahrenheit, Costa Nova pieces are known for their color and exceptional durability. This original formula of high-fired stoneware creates a glazed surface which is very resistant to chipping and perfect for everyday use.